Joe Johnson's first major league pitch went for a single. He then leaned back on his Braves teammates. The result was a seven-inning outing where he gave up just one run and two more hits - all in his major league debut. "I was not nervous at all," Johnson told reporters afterward. "The team really relaxed me. They wished me luck and they made me feel like I really wanted to pitch well." Johnson pitched well enough to earn 13 more starts that year and 30 the next. 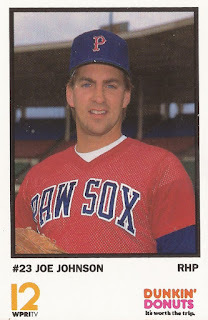 Johnson, though, only pitched well enough in his career to earn time in just one more major league season after that. Johnson's professional career began in 1982, taken by the Braves in the second round of the draft, out of the University of Maine. With the Braves, Johnson started right at AA Savannah, playing his first three seasons largely at that level. He saw a game at AAA Richmond in 1983 and four more outings there in 1984. In 1985, Johnson saw AA Greeneville, AAA Richmond and, in late July, saw Atlanta. After that seven-inning, three-hit debut, Johnson went on to get a total of 14 starts, one relief outing. He also posted an ERA of 4.10. Johnson returned to Atlanta for 1986, getting 17 outings, 15 starts there before being sent to the Blue Jays in a July trade. That April, Johnson struck out nine in one outing, a career high. He also went the full nine innings, giving up just four hits and one run. Johnson told The Associated Press it was the best game he'd pitched in pro ball. "Joe showed great poise," teammate Dale Murphy told The AP of Johnson. "He's come into his own and is pitching great." With the Braves that year, Johnson went 6-7, with a 4.97 ERA. After his move to the Blue Jays, he went 7-2, with a 3.89 ERA. After the trade, Johnson told The Bangor Daily News he thought about the move as a new opportunity. He also knew he was streaky. "I think I know what I have to do to be more consistent," Johnson told The Daily News. "I've got to keep the ball down, sink it in and sink it away. I've also got to work on changing speeds more." Johnson returned to Toronto for 14 starts in 1987, going 3-5, with a 5.13 ERA. They ended up being the final 14 starts of his major league career. 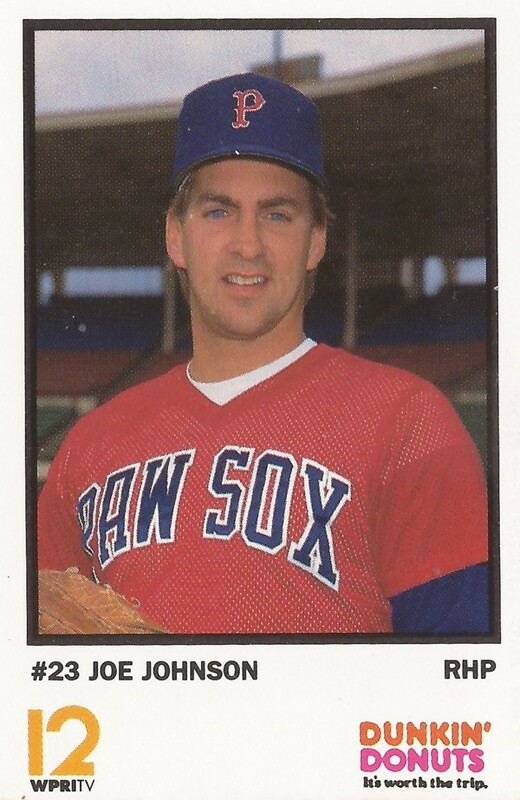 Johnson played 1988 with the Angels at AAA Edmonton, isn't recorded as playing in 1989, then returned for one final season in 1990, with the Red Sox at AAA Pawtucket, ending his career.